Thousands of rabbits have been "culled" in the Second Life virtual world. The web server sustaining them has been deactivated after a legal threat from a company claiming to have designed them. 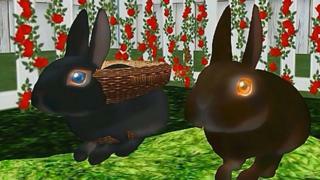 Added to Second Life in 2010, Ozimals bunnies were collectible pets that players could breed. Some owners had secured an "everlasting timepiece", giving their pets eternal life but preventing them from breeding. But the remaining rabbits entered "permanent hibernation" on Saturday. They were designed to communicate with a web server to ensure they had not been tampered with, but the company that created them closed in 2016. Since then, the server sustaining them has been run by a volunteer known by the pseudonym Malkavyn Eldritch. On Tuesday, Eldritch said he had received a cease-and-desist letter, demanding he "cease all use of Ozimals intellectual property" from a company claiming to have designed the rabbits' "visual assets". "I do not have the means to fight this in court, therefore I have no choice but to comply," said Eldritch. "It was never my intention for the time we've all spent with the bunnies... to end like this." Video Whatever happened to Second Life?